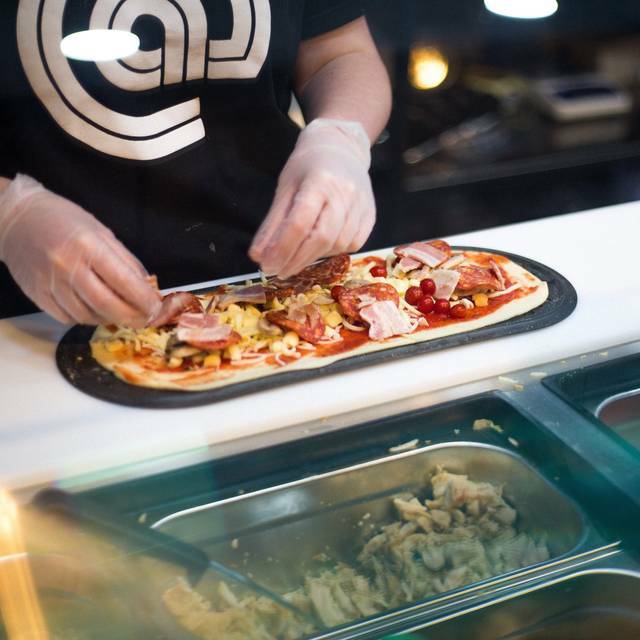 Fully customisable pizza’s made in front of you using only the best and local ingredients nd finished with style. All pizza’s are priced at £9.95 what ever you choose (except king prawns £1.50). Supported by a range of locally brewed beers, Italian wines and cool craft sodas. All served by @pizza’s ever so friendly staff they call their Pack in a strikingly modern design incorporating imagery by local artists. Fast free WI-FI, lots of charging points and a casual vibe with mixed seating make this a great place to eat, what ever occasion, or time of day. Friendly staff, but food was surprisingly lacking in flavour. Lovely food, fun experience, friendly staff, we had a really nice time! Really great pizza. Fast, friendly service. Good music. Leave enough room for a pizza dessert ! I love this place but the only criticism is that the choice of wine by the glass was limited with no dry white wine available by the glass and I did not want to drink a bottle by myself. Everything else was brilliant. Staff are always so great. So friendly and helpful. Really helpful with dietry stuff and food is such good quality! Great place for a quick meal while in town. Fantastic choice of toppings, great craft soft drinks (unlimited, so you can sample them all). Sweet dessert pizzas are good too. Staff helpful and welcoming. Very friendly and attentive staff who go out of their way to give you the best experience. 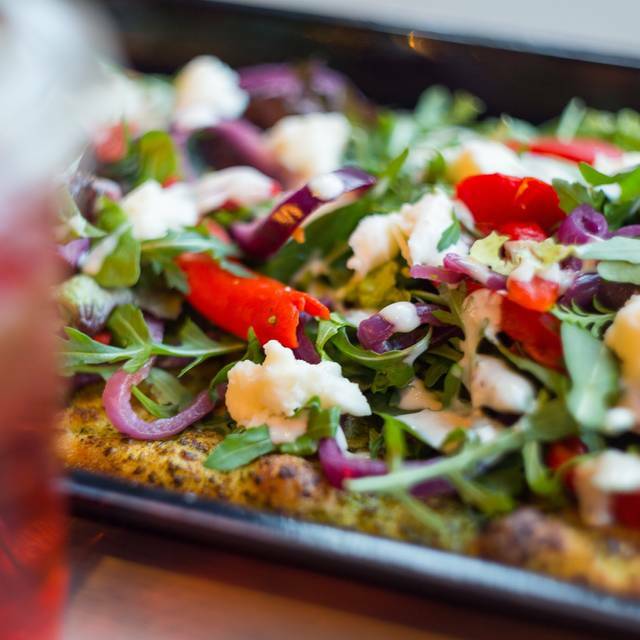 Delicious build-your-own pizza and large salads at a reasonable price. The cocktails, wine and beer choices are all slightly alternative than just your standard option. The soda fountain is excellent too, with lots of tasty choices than just regular cola. 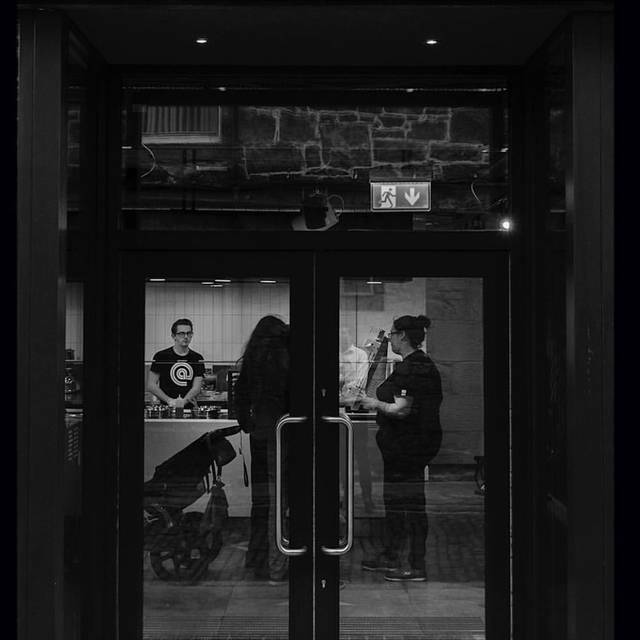 One of my favourite, low-key restaurants in Edinburgh. 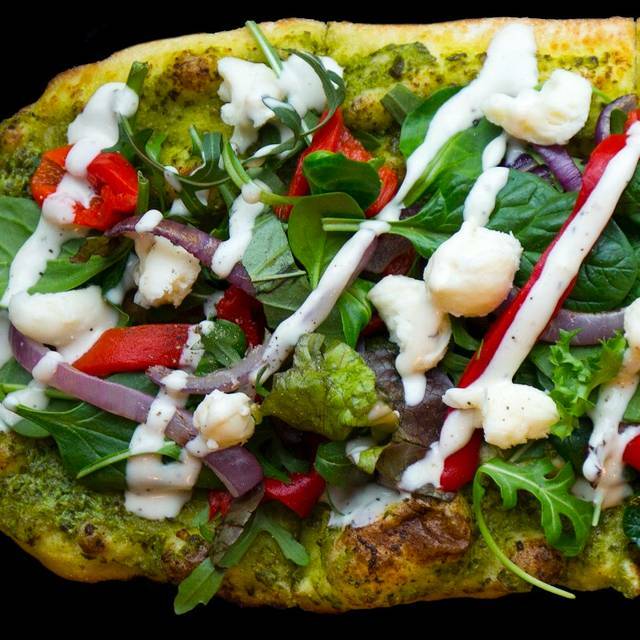 Skip Zizzi and Pizza Express around the corner, you want to try this! Really nice pizza! We all liked it a lot. This isn't a cosy restaurant. It's a place for fast delivered and really tasty pizza. If you go there with that expectation, you can't go wrong. Fab food, nice clean and well organised venue, v friendly and helpful staff!! A very good experience. Honestly the best pizza ever had. Such a great idea. Plus the soda machine was amazing. Yes, they do have gluten free! Apparently for around 3-4 weeks. I was impressed with how they sprayed down everything before getting the GF dough from somewhere separate. I also noticed some contraption that had "GF ONLY" written on it, so they know what they're doing. They also changed gloves and reminded one another that one of the chefs was doing the GF option. The only small issue I had was that they took the tomato base sauce from the same pot and when smearing it over the pizza obviously there would be some cross contamination. Having said that, I didn't appear to have a reaction that time. I did point this out to the manager at the end, so he's taken that on board, which is great. Now...the pizza itself was awesome, and having a choice of cheese was a brilliant move (I had the Scottish Mozzarella). I also topped mine off with basil and chilli oil. Really LOADS of choice to make lots of different combinations. They also come in an elongated oval shape, which is actually easier to eat if you aren't a fan of cutlery! I loved that they brought the pizza over about 2 minutes after we'd gone to sit down. My husband had the unlimited refill sodas (I found them a little sweet). We were in and out in around 30 minutes, which was exactly what we wanted. I really also loved their sustainability, too, with most of the stuff being recyclable. We'll definitely be back as a quick Sunday night pitstop (or any other time). Great place. Delicious pizzas and would really recommend for vegetarians. Staff are always friendly and cheerful and music is great! My favourite pizza place in Edinburgh! 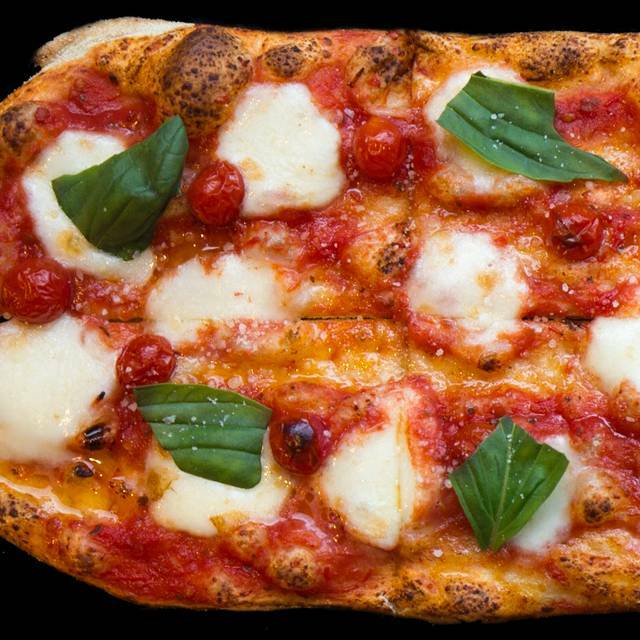 This is fast food pizza style- fine if that's what you need but not a dining experience. Staff were excellent. Pizza was quite good but the heartbreaker was excessively spicy to the point of being unable to eat it. Once we had wiped some of the sauce off it was better but still over spiced. The one we made ourselves was better with enjoyable base. Wine comes in pre packed tub, beer in bottles. Noise level was high so conversation was difficult. Our main criticism centres round the system to clear tables. A place is provided to put used cutlery, trays etc when you are finished. Unfortunately it is not well labelled and we saw several people picking up used cutlery thinking that it was clean as the area for the clean utensils was very nearby. We pointed this out but some more prominent labelling is required. It was an OK experience but wouldn't repeat. Super friendly staff and some incredible pizzas. Eat Meat Repeat for mains and the dessert pizzas are out of this world too. Highly recommended. Really enjoyed the pizza. member of staff very helpful and explained ordering process. My other half doesn`t eat cheese so choice for her was very good, especially as you can make up your own choice of toppings. Only issue is the pre packed wine - would prefer in small bottles 187ml. Will return as enjoyed the food. Great food and service - this is quickly becoming one of my favourite places to take friends for pizza in Edinburgh! Brilliant value for really good quality food. Really accommodating of kids and large groups too. 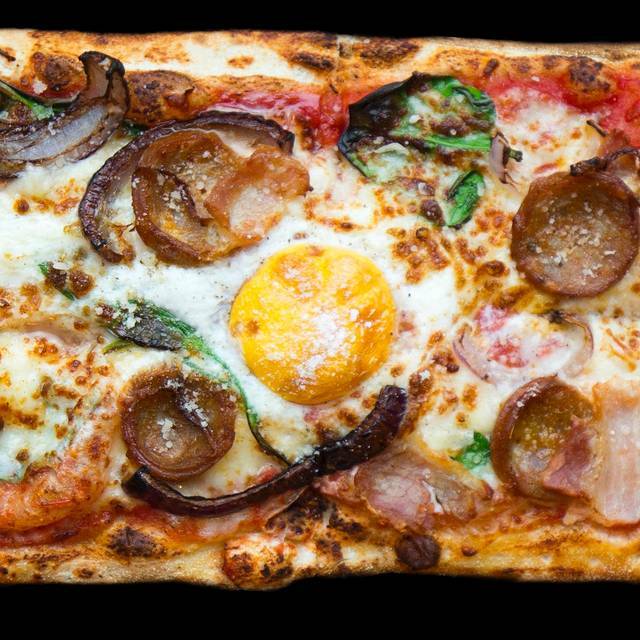 Fabulous concept, amazing Pizza. Lovely friendly service. Got a free dessert for my partners birthday. Visit is a must. We had a really enjoyable visit the staff were engaging and entertaining and very attentive. The pizzas were perfect. We would definitely go back again!! 2nd visit here, and was a good as the first. 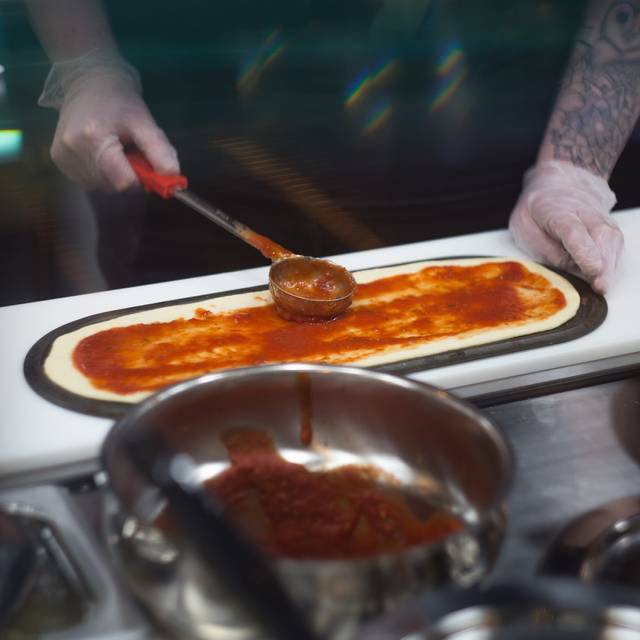 Love the fact you can create your own pizza. I have been many times before as they never disappoint. I love the vibe of the restaurant as it is relaxed, yet you can still wear something nice if you wanted to. Good for both lunch and dinner, and the food is amazing. The best pizza I’ve had in Edinburgh so far !! Always very pleased, and 100% recommend. Lovely friendly reception, very clean restaurant with very fresh food. Great team all multi tasking. Gluten free vegan pizza is not so easy to find! Excellent. Pizza was amazing and so cheap would definitely reccomend! Love this place, fantastic Pizzas and my daughter loves how you get to create your own pizza. Absolutely recommend. Great idea - basically Subway for pizzas. Best pizza I’ve had in a long time. It’s not fine dining and the restaurant has a fast food feel, but great value for good food. Our party of 5 all gave it the thumbs up. The Pizza was great and it was fun putting it together. The staff were welcoming - even on a rugby international evening! - and the atmosphere was friendly. Excellent food and we were all so impressed with being able to choose our own personal pizzas. Staff were superb from the moment we were met at the door to us leaving. Great pizzas, superb choice of base and toppings. We loved it. Will be back very soon. Fantastic place and great value for all their pizzas and deserts. Great that if you can’t fonosh it you can box it to take away. 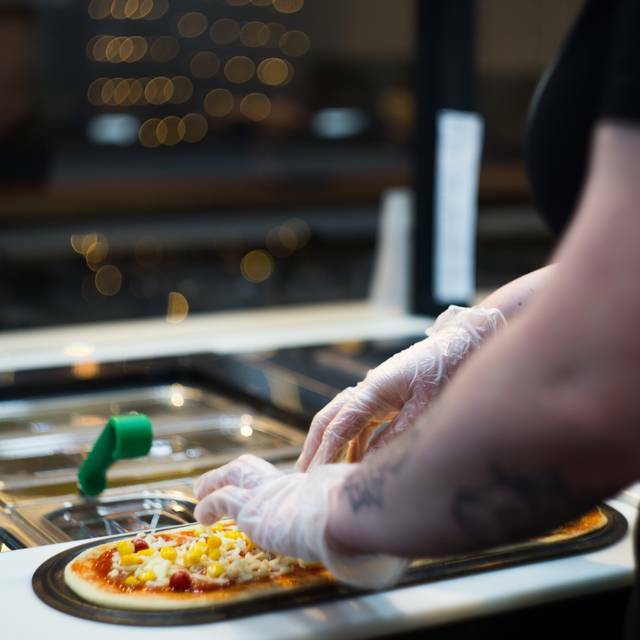 Fantastic selection of pizza toppings and all pre-defined are able to be customised. It is not table service but don’t let that stop you as you can watch the team crest your pizza in front of you. The best pizza in edinburgh! Super-quick service, great location and most importantly, fantastic food. Really fresh ingredients and great choice. Brilliant value too- would highly recommend. We don’t normally write reviews for restaurants but this restaurant did not disappoint. Food was fantastic as was the service. Was able to create my own pizza for £10 which was great, much prefer that than having to ask other pizza places to remove an item and then get charged £1.50 to add items. We love visiting @Pizza the food is always so fresh, the staff are amazingly friendly and helpful, we also love that everything is so reasonably priced . This place was so good first time round that we had to go back te following week, and will be making visits a regular event. 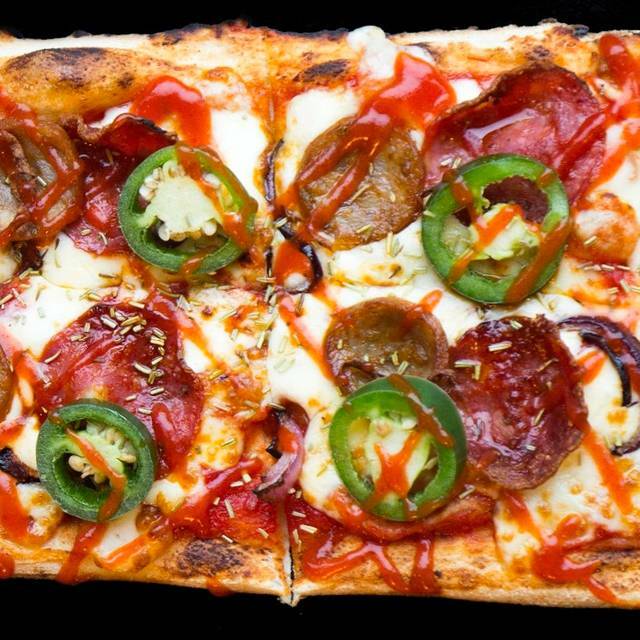 Thin pizza with high quality ingredients, what's not to like. And the free refills of their super soda is the icing on the cake. It was my friends birthday and they were very nice and brought the cake when we were done eating. The staff was friendly and honest, the food was fresh and delicious and their hand crafted bottomless sodas were amazing. I loved the mint, ginger and lime soda. All reasonably priced and lunch under £15. Definetly will go again!